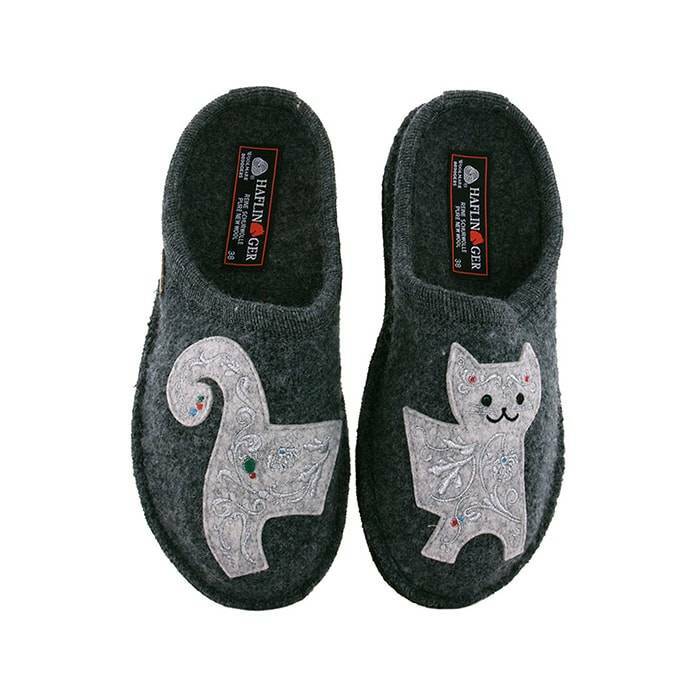 The Haflinger Lizzy Grey boiled wool women’s slipper is packed full of health and comfort features. The natural boiled wool upper is very lightweight, soft and cuddly, yet very sturdy. It molds to the foot like a second skin while letting the foot breathe freely. It is the breathability of boiled wool that will keep your feet at room temperature all the time, never giving you the hot, perspiring foot so common to synthetic slippers. Furthermore, wool is a natural insulator that keeps your feet cool in the summer and warm in the winter, guaranteeing year round comfort. 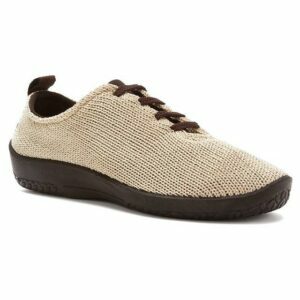 A soft and breathable boiled wool, insole liner wicks away any moisture from your foot for year round comfort. Added is a latex molded arch support that creates the most relaxing, wonderful sensation that feels like a built-in foot massage, always pampering your feet and easing your mind. Finally, Haflinger adds a double felt outsole which adds cushioning to your step while providing traction with non-skid, non marking dots. Constructed for indoor use, these slippers are perfect for around the house chores or just unwinding after a long day.